The iRetrofone Skyliner is a strangely innovative dock for Apple's iPhone 3G, 3GS and iPhone 4. 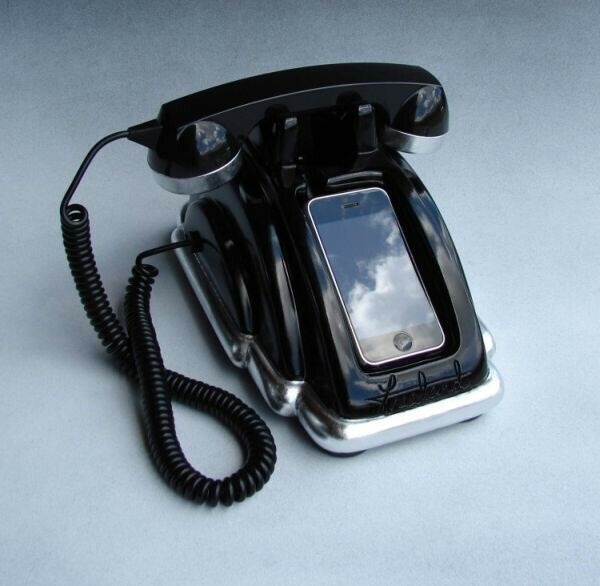 The dock holds the iPhone within a fully functional retro housing which allows the user to pretend that they aren't on the cutting edge of modern communication. As many consumers do away with their home phone service, perhaps this will preserve our feng shui of having a stationary phone in the home. 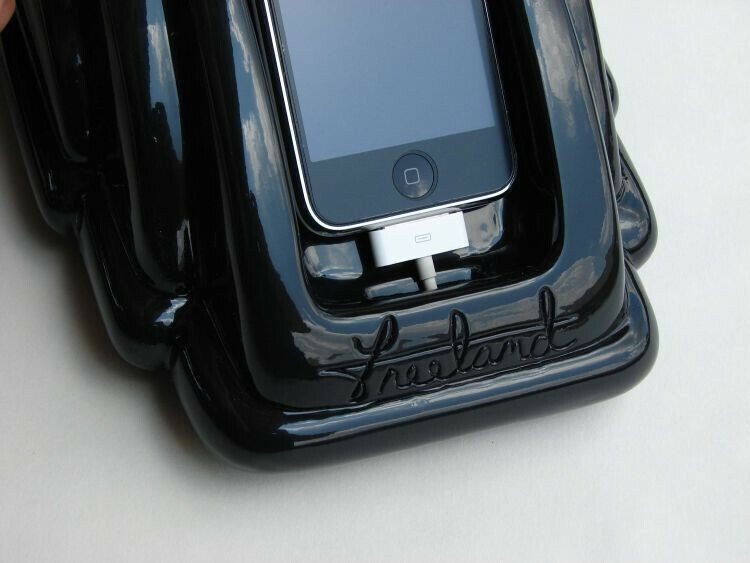 The dock is the third in a series of three from Scott Freeland of Freeland Studios, and costs US$250.